Captured here as if he is half asleep is a Mopoke Owl. Also known as Boobook owls, these little creatures usually hunt around at night. This little guy was a bit startled as I came through the area in the late afternoon, and woke him up a little bit early. One bit of trivia is that this owl's eyes are so big he can't roll them, instead, he has to turn his head if he needs to see something. 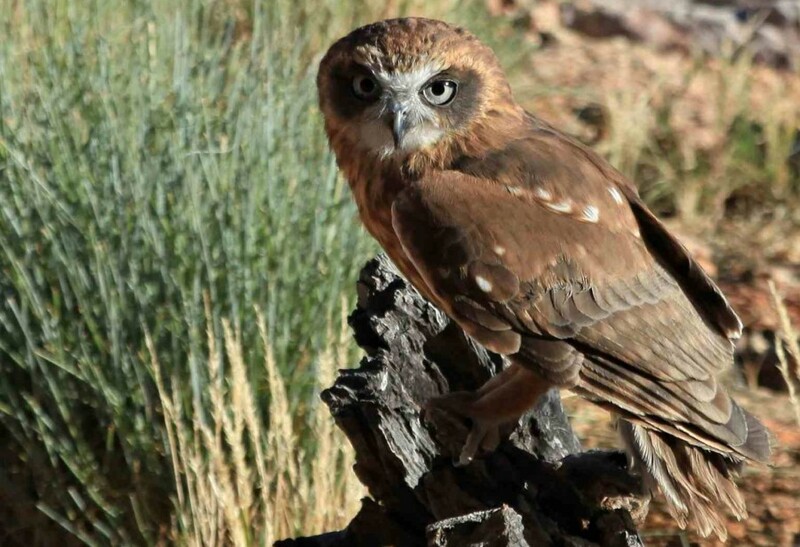 These owls are quite common in the desert region, and I am starting to find more of them. I just hope to be in the right place at the right time.